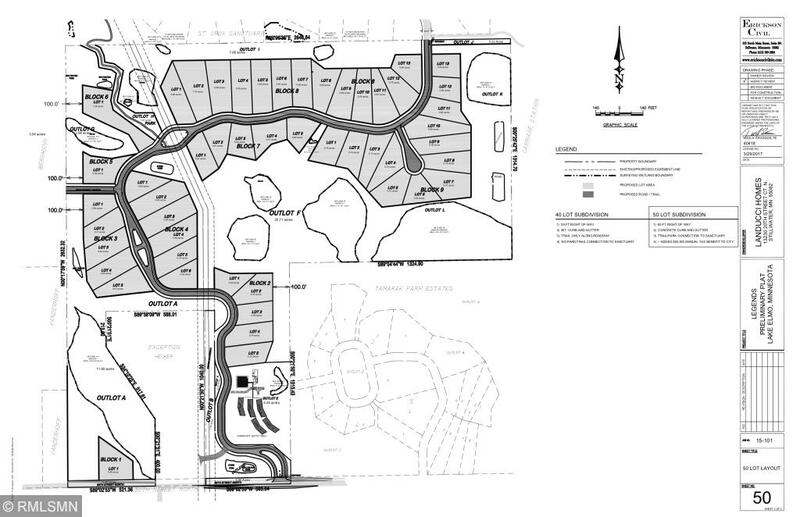 110 Acres in PRIME Lake Elmo; land abuts and access through the Luxury Sanctuary Development. Land is also accessible from 50th St. N. (off Stillwater Blvd.-Hwy 5). Proposing 50 lot subdivision to city of Lake Elmo; would be a Luxury open space development with lots starting at $225,000. The land features several high quality wetlands, an oak savana, a tamarack tree island, beautiful vistas and rolling topography. Minutes from Oak park Heights/Stillwater shopping, downtown Stillwater, Highway 36 and 694. Great Stillwater schools with close proximity to the high school.